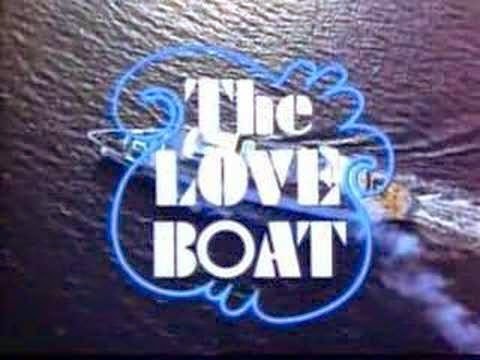 Left and Write: L is for : The Love Boat!! L is for : The Love Boat!! It was a very familiar tune on Saturday nights. For those of us who actually watched t.v. on Saturday nights, that is. The Love Boat was an Aaron Spelling production that ran on ABC from 1977 to 1986. 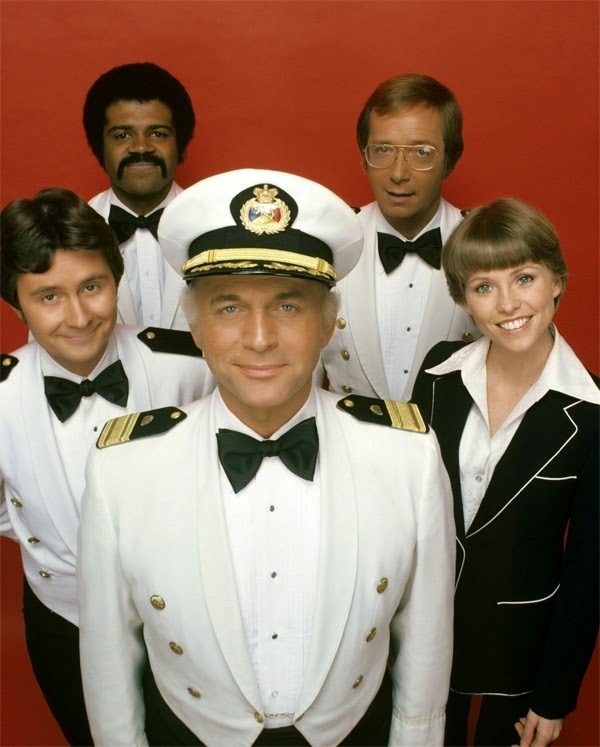 It starred Gavin MacLeod (as Captain Merril Stubing), Bernie Kopell (as Doctor Adam Bricker), Fred Grandy (as Yeoman Purser Burl "Gopher" Smith), Ted Lange (as Bartender Isaac Washington), and Lauren Tewes (as Cruise Director Julie McCoy) and the plots (usually there were three stories per show) revolved around different guest stars and their character's romantic escapades. And, speaking of guest stars, in the nine years this show was on the air, I think almost every actor who ever graced a screen, large or small, made a guest appearance. Everyone from Milton Berle to Hulk Hogan graced the Pacific Princess and 'climbed aboard for a new romance'. As with most things, though, the show began to go downhill (in my opinion) with the introduction of Capt. Stubing's daughter, Vicki (played by Jill Whelan). Also, near the end of the series, a replacement was brought in for Laruen Tewes' Julie (your Cruise Director) McCoy in the person of Patricia Klous, playing Juile's sister, Judy. It's always been my experience that when a show starts mixing up the cast, adding here, dropping there, it's a sure sign that things are on a downswing. 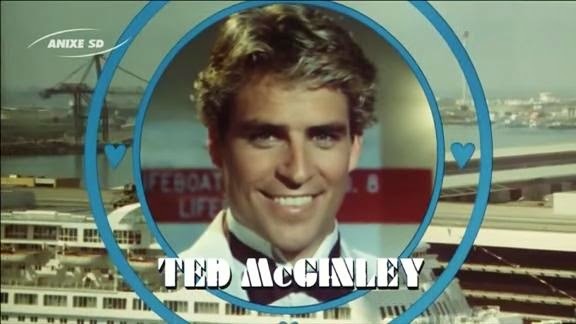 Now, when Ted McGinley shows up....you know you're sunk...no pun intended. It wasn't soon after Ashley (seriously?) "Ace" Covington Evans, the ship's photographer and resident pretty boy appeared, did the Pacific Princess dock for the last time. It was a fun show, while it lasted and one of the best things about it was seeing old stars you hadn't seen in, literally, decades and watching them mixing and mingling with Hollywood's next generation. Sure the stories were a bit hackneyed and formulaic, even doing "crossover" segments with other shows such as Charlie's Angels and Fantasy Island , but they were still a lot of fun and more imaginative than almost any sort of "reality" show you'll find littering the airwaves today. Honorable Mentions: Laverne and Shirley, The Lone Ranger, Lost in Space. If there's a tie (or I don't get any comments...which is entirely possible :) ) I'll randomly draw one from a hat. No, I swear I will! They did have an amazing lineup of guests. And I always thought Lauren Tewes was cute. I never heard of Manimal,(so I think), thus I'd vote for that one. The Love Boat was a show I never missed when I was growing up. It brings back pleasant memories. Magnum P I! Gotta love his moustache, shirts and Ferrari. I loved Lost in Space and only saw Love Boat in reruns. How can I pick between Macyver and Magnum? Oh, Magnum for sure. As long as you do Simon & Simon when you get to S.
Thanks for the stroll down memory lane. The Love boat was one of my favs! I agree the first five seasons or so were the best, then it got a bit hokey and at that point (early 80's) I was in the fashion world doing my own thing on Saturdays. Ah, the life of a model. LOL. TV ended for me there. @Alex: Yep, same here. I was sad to hear she had some many real life problems to contend with, though. @Susan: A tough choice for sure and I used to love Lost in Space, too. I really liked The Love Boat... and I agree with you about the casting. Very few shows recasted successfully. I would say that M*A*S*H did one of the best jobs of it... and is my favorite for an "M" show. I loved loved loved M*A*S*H.
Of the ones you threw out, I pick Magnum. I faithfully watched The Love Boat every week. A few years ago, I was visiting a friend in the hospital and The Love Boat came on the TV there and we sat and laughed at how corny it was. That week's guest stars included Meredith Baxter-Birney. What a great show! Lost in Space is a terrific honorable mention. Danger Will Robinson - I vote McGuyver. Now I'm going to have the Love Boat theme in my head for days. Never heard of this show, but now I'm curious! No need to respond.. I just want to tell you again how much I'm lovin' these posts!!! I'm probably too late but MacGuyver was one of our favorites. My vote for Magnum. I did watched the Loveboat and thought it would be cool to work in a cruiser like that...until I saw Titanic. I totally wanted to be a cruise director like Julie McCoy when I watched the Love Boat. You couldn't beat the Love Boat/Fantasy Island combo on Saturday night. This one I TOTALLY remember watching on TNT as a kid!! !